All of our Burma itineraries are tailor-made for each individual client, according to their requirements and preferences. We do not sell pre-packaged trips of any kind. However, to show you how some of our trips can fit together, and the kind of holidays that previous clients have taken, we have laid out here a few examples. These are for example purposes only and should not be taken restrictively. Your trip can include a combination of any parts of these itineraries - the only limitations are your budget and your timeframe! Experience the very best of Burma in this 12-day itinerary including the Schwedagon Pagoda, Mandalay, Inle Lake and Ngapali Beach. The newly built colonial style Savoy Hotel is one of our favourite hotels in the country, not only for its simple decoration, fantastic pool, great friendly staff but because the hotel is within easy walking distance of the awe inspiring Shwedagon Pagoda. The Aureum Palace at Ngapali Beach is a stylish new boutique hotel which has really raised the bar locally. Luxurious cottages are scattered round the extensive grounds and some are right on the beach. All the facilities you would expect of an Aureum hotel make this a good contemporary alternative to Sandoway Resort. 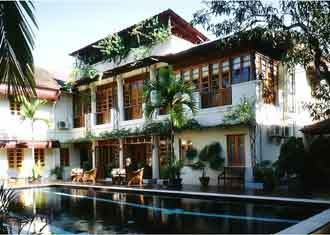 Very close to the Mandalay Palace, the Hotel by the Red Canal is a small, friendly, colonial-style boutique hotel. With outstanding food, excellent staff and good facilities, this is one of the best hotels in Burma and definitely our favourite in Mandalay. Located closest to the northern part of the lake, the Inle Princess Resort is the best hotel on the lake and does get booked out very far in advance, so wise to book early for this one. The location of this hotel is perfect, with a backdrop of rural Shan State and the mountains, with the cool clear lake in front, no other hotel comes close to an ideal location. Sandoway has been at Ngapali Beach for as long as we can remember and it is still our favourite in this area. Occupying 6 acres of tropical gardens only 15 minutes from the airport, this excellent resort has lovely cottages, great facilities and wonderful staff. Very popular and rightly so.